At Zenkraft we like to experiment and find new ways to integrate our solutions with other cloud products. This time, we had fun researching and writing code around Twilio, a cloud communication platform. One of the great features of Twilio is that makes it easy to add voice to your application. For this reason, we thought it’d be valuable if we could integrate this with our shipping apps for Salesforce, and allow users to get shipment status updates by calling a phone number. We wanted to share with you an easy step-by-step process of how you could setup your own look up shipment status with Twilio voice. First of all, you’d know that you can allow customers to find shipment status from an inbound number from any object. For this particular example, we’ve integrated with a Case. Dreamforce ‘16 was by far the best Dreamforce in 13 years. If you were unable to attend this year, or even if you attended and missed out on some of the fun experiences, fear not! We at Zenkraft are here to fill you in on all the great adventures we experienced, so you’re prepared and raring to go for Dreamforce 2017. We saw Dreamforce turn 13, launching new spectacular products, with around 2,700 informative sessions, and bringing together around 170,000 people from all across the world. Dreamforce connects industry enthusiasts for four days of events, activities and thousands of live solutions from the world’s largest cloud ecosystem, to share and present life-changing technology and knowledge to those within the industry. Whether you’re a start-up of 1 person or a Fortune 500, Dreamforce is inclusive to all and will undoubtedly enhance the way you run your business. This year the bar was raised, with some of the world’s most influential entrepreneurs, guests and -of course- Marc Benioff to start the whole experience! Every year the most anticipated event at Dreamforce is when Benioff takes the stage to deliver his opening keynote speech. Benioff kicked it off by taking us on a journey, describing Dreamforce as an annual “family reunion”, expressing his gratitude and thanking everyone for joining him again this year. He expressed his delight over the millions of users across the world which Salesforce has helped and will continue to help. Benioff, alongside Harris Parker and Shubha Nabar, announced the newest Salesforce feature, Einstein AI, presenting the potential impact of this feature to the Salesforce Ecosystem. Zenkraft are excited to combine Einstein with our logistics app, to provide real-time predictions into logistics data. If you’d like to watch the keynote in its entirety click here to watch it all! This year, as Bronze sponsors, we had more fun than ever before, being exposed to more events, conferences, and face-to-face engagements. 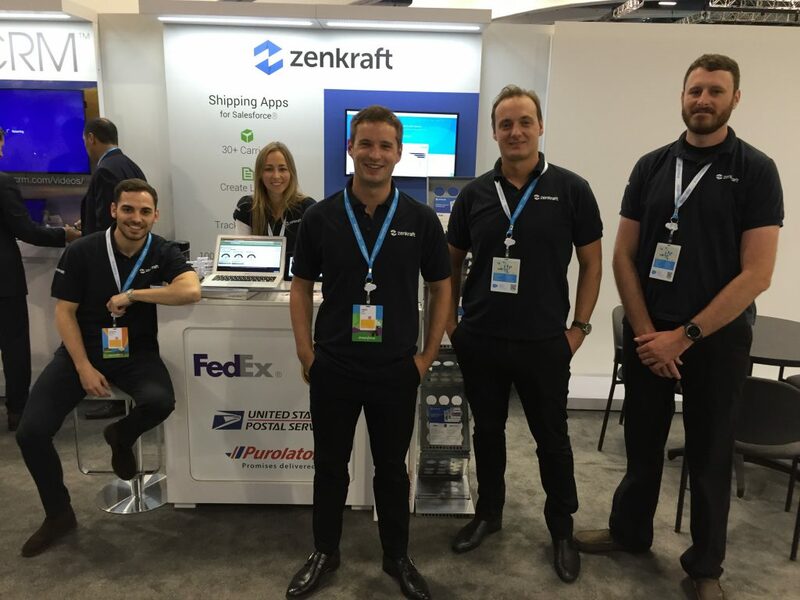 Our booth #2208 was always covered by the Zenkraft team ready to demonstrate the benefits of our shipping apps. Giving ‘swag’ is a ritual at Dreamforce, attendees walk around speaking with companies and going away with their hands full, a great way to get your hands on your year’s supply of pens, notepads and technology information! Over the 4 days we were there we provided more than 50 demos of our native apps, communicated with clients and formed new connections for future business. The ability to interact with a range of consumers and to hear their feedback allowed us to understand our consumer database and the networking experience was next to none. 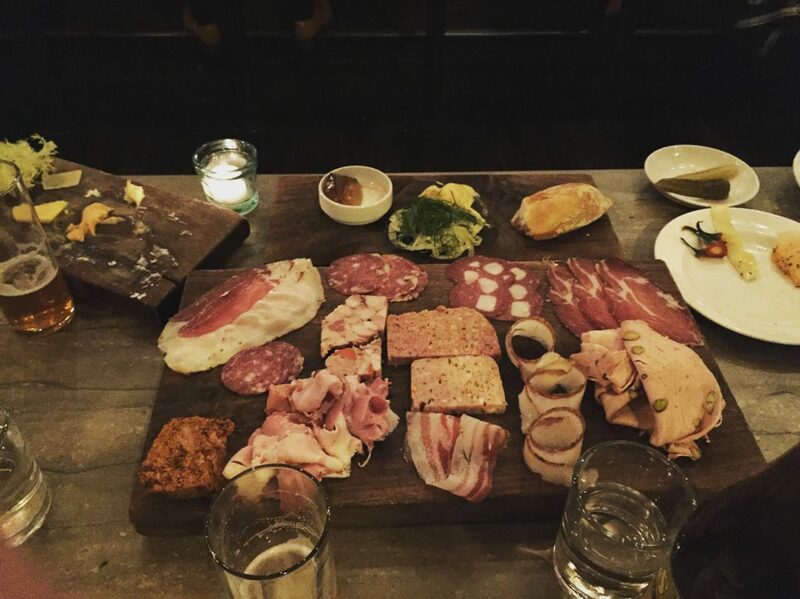 With more restaurants per capita than any other city in the United States, San Francisco is everyone’s culinary dream. 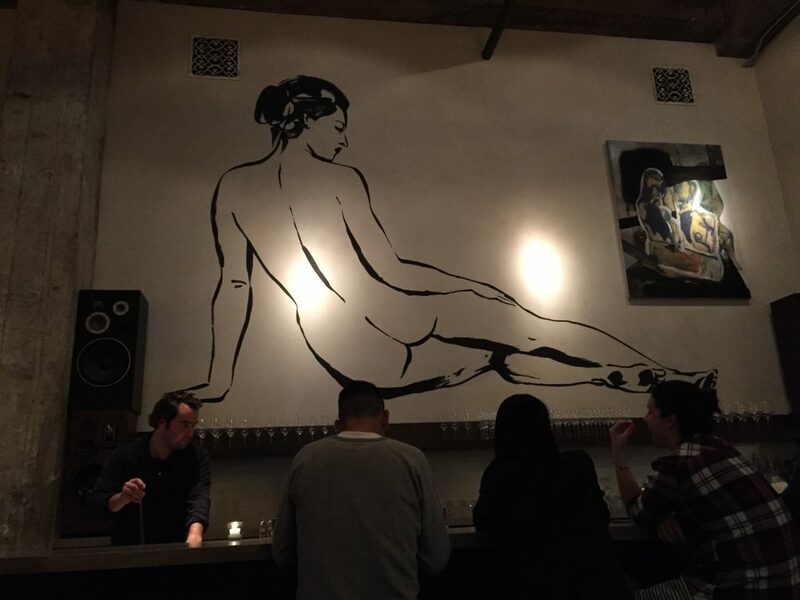 The streets of San Francisco are filled with Dreamforce goers and Trailheads going out for dinner and happy hour, and when food and drink is in abundance, it’s hard to resist the temptation. 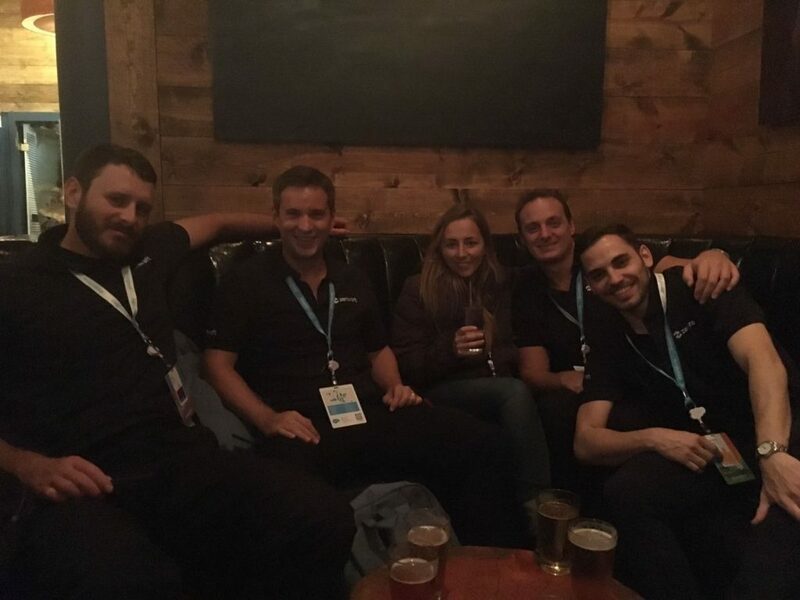 Each evening, events were hosted by partners and Dreamforce enthusiasts all around San Francisco. With a variety of different events to attend and join, it was hard to pick our favourites, but to point a few: The People’s Party at Temple Nightclub, Cirrus Insight Happy Hour at Thirsty Bear, B2B Marketer’s Bash featuring Flo Rida at The Warfield and AscentERP annual get together at The District. We also have some great memories at our ‘team building’ time dinners at the Trou Normand and PABU. Every year brings with it a performance from amazing artists and bands, so when we heard that one of our favourite bands will be performing at Dreamforce 2016, it was a no brainer. We just had to go to see one of the most famous bands on the planet,U2! To get to the stage we hitched a ride with the on site shuttle bus, which took us from Moscone Centre to the Dreamfest stage at the “Cloud Palace”. The atmosphere on the shuttle bus was an experience within itself! Once we got there, we found our way towards the front of the stage where U2 played some of their greatest hits, and also raised awareness for the amazing work carried out by RED, showing his support and encouragement. We’re excited to see what Dreamforce 2017 has in store for us! 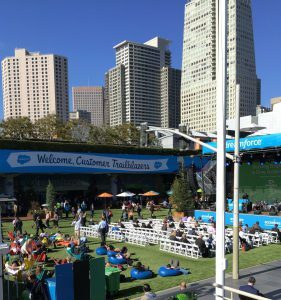 Over 2,700 topics were discussed at DreamPitch, all insightful and interesting in different fields of technology, and this year Dreamforce welcomed on to the stage early-stage startups that have built apps on the Salesforce App Cloud, to present in front of esteemed investors and entrepreneurs. By far the most exciting experience for us was when Zenkraft was featured in one of the Dreamforce talks. The ‘Connect Everything with Apps’ session was presented by Salesforce’s Solution Engineer Laura Durrance, with Eric Edelson and Cleo Schiff from Fireclay Tile speaking about the big difference our apps have made within their business. Eric, Fireclay Tile’s CEO, spoke about the difficulties and problems they faced before they used Zenkraft’s solutions. They discussed the benefits of both using pre-built apps already available on the AppExchange, and the benefits of building your own apps. Overall we had an amazing experience at Dreamforce 2016, and we’re so excited to attend again next year! Hope to see you all at Dreamforce 2017! Are you coming to Dreamforce ’16 with us? We are super excited to be attending Dreamforce again this year! In exactly five weeks time, the annual event will take place during what promises to be an incredible four days of networking, learning and fun. As a Bronze sponsor, we are looking forward to addressing any questions you may have regarding shipping inside Salesforce, as well as discussing specific strategies relevant to how you can improve your firm’s logistical process and efficiency. Our team will be highlighting two new apps that have been in development recently. First is the new multi-carrier app, supporting over 30 Carriers and 100% native to Salesforce, launching soon. Support for Canadian shippers has been a heavily requested feature and so we’ve also been working on developing a new app for the Canadian courier, Purolator. Please visit our booth to receive tailored information on how you can take advantage of these new apps inside your CRM platform (booth # still to be confirm, follow @zenkraft on Twitter for the latest updates). • Connect socially: take advantage of social media by utilising hashtags such as #df16. Not only will this enable you to connect with the right people but it is a great way to get the latest updates on after-parties and other events taking place after the day’s proceedings have come to a close. • Plan ahead: Moving from one session to another can take up to 15 minutes depending on the location and it’s a good idea to try to arrive early as there are often queues if you haven’t pre-registered. Don’t worry if you happen to miss an event, many of them are available to view on YouTube afterwards. • Spend time at the Cloud Expo: this is the best place to explore new solutions to benefit your company and help you to succeed with Salesforce. If you haven’t yet registered for Dreamforce, use our exclusive promo code to receive a $100 USD discount on registration fees: EC16ZENK. What’re you waiting for? We can’t wait to see you there! If you’re feeling the same, you can book a call with our team or start a 7-days trial for free from the AppExchange. We’ve improved our FedEx app with new features!